From Annals of Internal Medicine to MKSAP and the Internal Medicine Meeting, ACP strives to keep members current. ACP's clinical policy papers continue to help physicians deliver the best possible care for their patients. 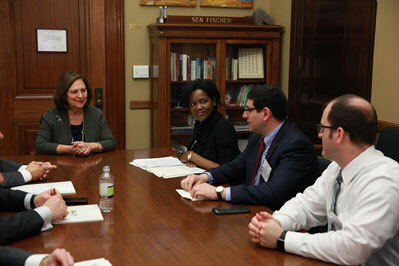 ACP advocates and develops policy on behalf of our members, on the issues that matter to internists and their patients. ACP has developed tools to guide members through MACRA, QPP. Strengthening our sense of community with our chapters, our international members and patients to share our core values and resources. ACP continues to refresh its online presence with new technologies for greater ease-of-use, accessibility and efficiency. ACP offers members opportunities to develop as leaders and advance in their careers with unique programs and services. "The fabric, the quilt, and the ACP symbolize the unification of a community." We are facing a critical time in our high risk, high reward profession of medicine, both rife with promise for better times ahead and with opportunities and challenges along the way. 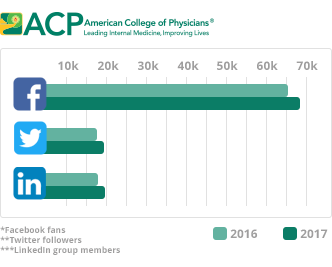 ACP will continue to lead the way for internal medicine to become a place where the voices of physicians and patients drown out the sound of EHR clicks and the shuffling of meaningless paperwork. ACP is striving to change burdensome systems and requirements so that our members can refocus on the core elements of why we chose internal medicine as a profession: caring for patients and developing relationships. From the development of educational resources to partnering with like-minded stakeholders to help strengthen our positions, we are committed to doing whatever we can to help physicians get back to the bedside and reinstill the sense of community in healthcare and value the power of human connection. Relationships matter, and no relationship matters more than the one between patients and physicians. ACP's work over the last year has remained mission-centric, focused on our commitment to the profession of internal medicine and to supporting our internist members and their patients. We've been working to make strides to get back to the meaning of medicine by reducing administrative burdens and focusing on prioritizing the patient-physician relationship, and we are working to uphold the guiding principle of "first, do no harm" by shielding patients from healthcare bills that are not in their best interest. 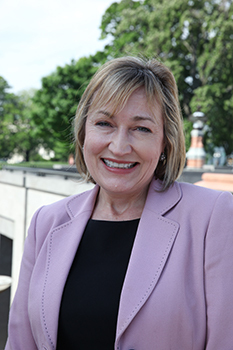 ACP has placed a priority this year on helping members with practice transformation, developing evidence-based clinical guidelines, encouraging stakeholders to revisit performance measurement, and advocating for reforms to the payment system that recognize the time and effort that go into caring, communicating, and coordinating care for our increasingly complex and aged patients. Like many of you, in my continuing role of seeing patients on the front lines of primary care, I understand the complexities of front-line patient care and the impact on the sick and vulnerable populations. ACP supports the transformation to a sensible value-based system that improves patient care while minimizing administrative burdens, maximizes face time with patients, and appropriately rewards complex care management and cognitive services. ACP has created tools and resources to help members transition to new systems and methods. 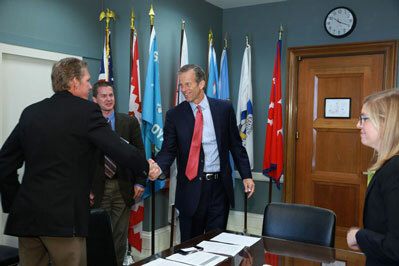 We have engaged with health care stakeholders, such as the Centers for Medicare and Medicaid Services (CMS) and other payers, to offer suggested improvements to the bipartisan Medicare Access and CHIP Reauthorization Act (MACRA), which replaced the Sustainable Growth rate formula that ACP opposed for many years, and toward the shared goal of improving current payment and delivery systems. ACP has been a leading voice for physicians in these efforts and has seen many of our recommendations adopted. We have been steadfast in our efforts to stave off the repeal and replacement of the Affordable Care Act without an alternative that protects patients, especially the most vulnerable, despite the ongoing battle for healthcare in the U.S. We have continued to advocate strongly for meaningful changes in professional development, such as maintenance of certification, that are grounded in an adult learning educational platform that is relevant, practical, non-burdensome, and seamlessly woven into the activities that physicians engage in to bring their best to patient care on a daily basis. We've used our collective voice to weigh in on issues like the escalating costs of prescription drugs, the opioid epidemic, and skyrocketing out-of-pocket healthcare expenses, which result in devastating effects on our patients and burden for our physicians. As internists comprise the largest proportion of practicing physicians in the U.S. at 25%, we have supported efforts to ensure that there is an adequate and well-trained workforce in internal medicine so that the profession remains strong and our patients can benefit from our specialty. 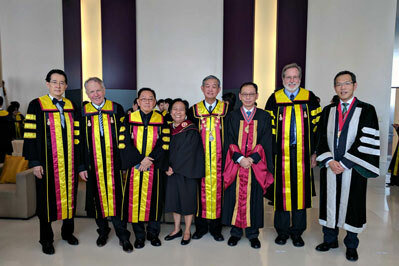 We've demonstrated our conviction to address issues like immigration, where we stand against the discrimination of medical residents based on their country of origin, in the interest of protecting the practice of medicine and medical education in the U.S. ACP is on record on issues such as medical liability and seeking to protect our profession from litigation. ACP lobbied successfully against health insurance mergers which create higher prices and less competition, ultimately hurting patients. Our Medical Knowledge Self-Assessment Program—MKSAP—celebrated 50 years of medical education and excellence this year. Likewise, this year Annals of Internal Medicine celebrates 90 years of publishing a clinically relevant, top-caliber peer-reviewed journal and also debuted a new website. ACP produced award-winning publications and saw robust attendance at both our annual meeting and Leadership Day. We continue to set the standards for guideline and policy development, lead in the areas of High Value Care and efforts to reduce wasteful practices that add little value and increase healthcare spending, and work closely with the international internal medicine community. I encourage you to read through the report that follows, visit our website, get involved with your local chapter, join the conversations on social media and use your voice to change our healthcare system for the better. Your voice, your skills, and your experiences are the fabric that weaves the greater quilt of community that we all need to share to face the times ahead—for ourselves, our patients and our profession. In addition, survey respondents under age 40 are more commonly hospitalists and less commonly GIMs or subspecialists. 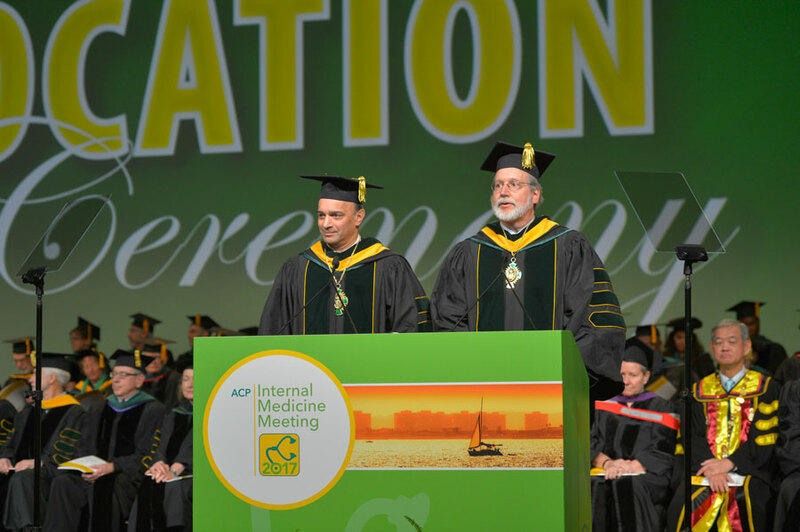 "Any fabric has at its foundation the threads that comprise it; just like the members of the ACP comprise our quilt of medicine…physicians represent the foundational threads of healthcare, collectively forming the fabric of medicine." Annals of Internal Medicine continues to be the premier internal medicine journal and one of the most cited medical journals in the world. The 2016 Impact Factor for Annals is 17.202—the highest of any specialty journal in the General and Internal Medicine category. The journal is ranked 5th among 154 medical journals. 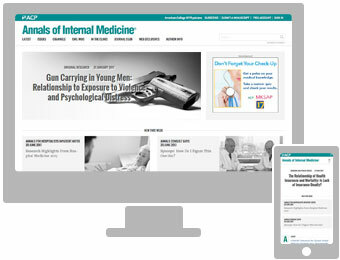 Annals of Internal Medicine, ACP's flagship journal, debuted a newly designed website, Annals.org. It is fully responsive and scalable to any device, including smartphones, tablets and computers. The new site was designed to meet the needs and standards of time-challenged physicians, providing easy access to Annals' varied content types, including its many multimedia online-exclusive features. One of Annals' popular features is the Annals Consult Guys CME-accredited video series, featuring Geno J. Merli, MD, MACP, and Howard H. Weitz, MD, MACP, two lifelong friends and seasoned clinicians with nearly 75 years' experience combined. It addresses clinical issues in internal medicine with a delivery steeped in humor, including supplemental materials with each video. New content is added regularly. Developed with the Hospital Medicine Program at University of Michigan and the VA Ann Arbor Health System, Annals for Hospitalists provides monthly highlights from Annals of Internal Medicine and ACP Journal Club. ACP Journal Club is a monthly summary of the best new evidence for internal medicine from more than 120 clinical journals. 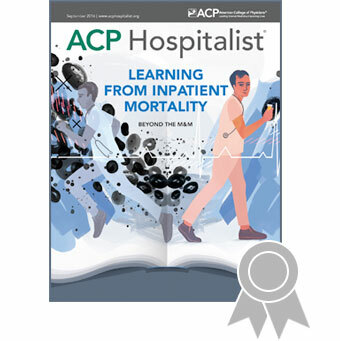 The hospitalist-focused content features "Inpatient Notes," unique perspectives on contemporary topics in hospital medicine, including topics such as "Hospitalists and Digital Medicine—Overcoming the Productivity Paradox" and "Reducing Diagnostic Error—A New Horizon of Opportunities for Hospital Medicine." Annals partnered with WHYY's The Pulse, a Philadelphia-based public television program, this year to present "Stories from the Heart," where five patients and five physicians shared their personal stories of heartbreak, healing and hope in medicine. View the full archive of Annals Story Slam stories. In Annals' Beyond the Guidelines, expert clinicians debate care for patients with common health conditions who "fall between the cracks" in available evidence or do not fit criteria covered by available guidelines. 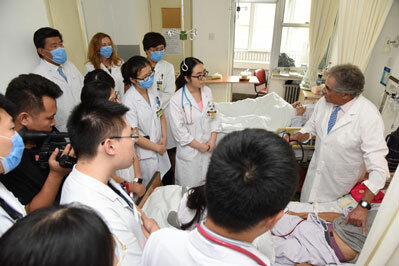 Clinical experts then provide treatment suggestions and rationale for how they would approach the given patient's care. This multimedia feature is based on selected clinical conferences at Beth Israel Deaconess Medical Center (BIDMC). The sessions are eligible for CME and MOC credit. Should We Prescribe Antibiotics to this Patient with Upper Respiratory Symptoms? Should We Screen for Vitamin D Deficiency? 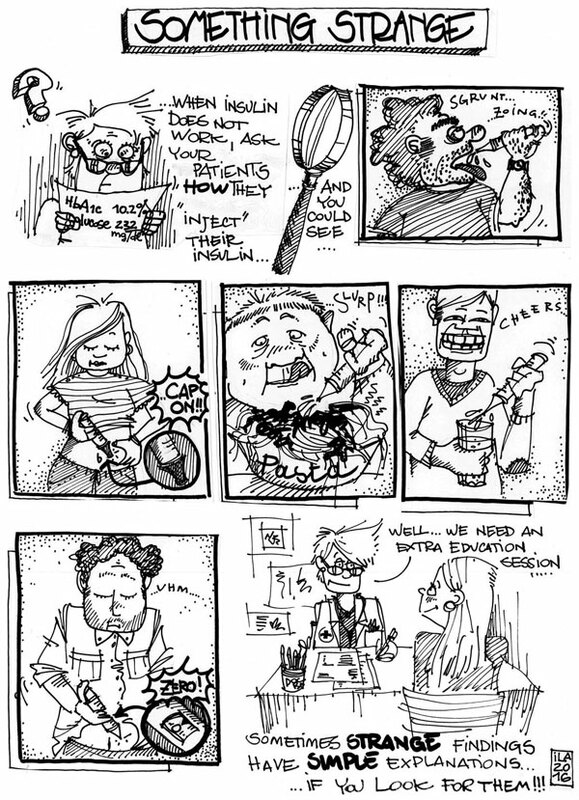 Annals Graphic Medicine collects original graphic narratives, comics, animation/feature and other creative forms by those who provide or receive healthcare. 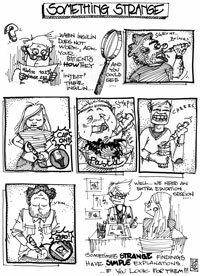 They address medically relevant topics in thought provoking, poignant and entertaining style. ACP released the original Medical Knowledge Self-Assessment Program (MKSAP) in 1967, making this year the 50th anniversary for the program. ACP pioneered the concept of self-assessment for physicians with the development of MKSAP I. Since its inception, MKSAP has been updated every three years to ensure physicians have the most current content in internal medicine and its subspecialties. MKSAP continues to be the most trusted resource for internists today, providing them with a way to stay up to date and compare their knowledge with internists worldwide. The current edition, MKSAP 17, provides a comprehensive learning system developed by a world-class editorial team that includes more than 1,200 case-based self-assessment questions. DynaMed Plus is an enhanced version of the leading point-of-care clinical reference tool provided by EBSCO Health. It includes evidence-based clinical overview and recommendation summaries, a comprehensive drug database, calculators, images, and more. Updated daily, with over 500 new topics added annually, DynaMed Plus is the most current clinical information resource available. Internal medicine topics are developed collaboratively with a dedicated ACP staff physician. 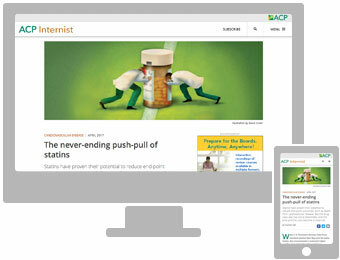 All content is presented in a responsive design that works on any platform from smart phone to PC. ACP members have access to DynaMed Plus as a free benefit of membership through the end of 2017, and members will have the option to subscribe thereafter at a steeply discounted rate. ACP is home to multiple award-winning publications that span general internal medicine topics to subspecialties and special interests. 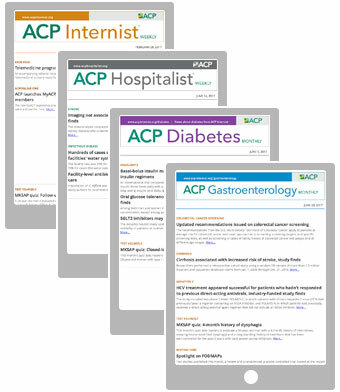 ACP publications include content on medical news, clinical and policy updates, opinion and in-depth analysis of issues affecting patient care and physician satisfaction. In March, ACP Publishing launched new websites for all of its news publications. The new site designs are refreshed and updated to better showcase each publication's editorial content. New features include a cleaner, more modern layout; larger images; improved navigation; "share" buttons at the top of each story for Facebook, Twitter, and email; and a responsive design that adjusts to any screen size and makes the content easy to read on a smartphone, laptop, or tablet. The award-winning September 2016 ACP Hospitalist featured "Beyond the M&M," a story by Janet Colwell. Cover illustration by Sarah Ferone. Over the past year, several ACP publications won awards. 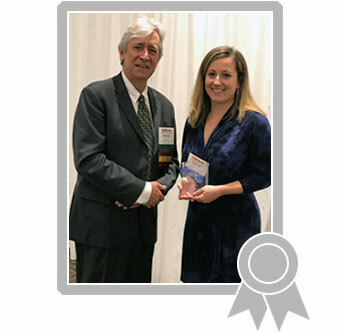 ACP Internist earned the 2017 Bronze award in the category of Best Newsletter from the American Society of Healthcare Publication Editors (ASHPE), as well as 2017 EXCEL Awards for General Excellence and Editorial Excellence in the Newspapers category from Association Media & Publishing. ACP Hospitalist was recognized by two prestigious organizations for its September 2016 cover story "Beyond the M&M," which was selected as a finalist for the National Institute for healthcare Management (NIHCM) Foundation's 23rd Annual healthcare Print Journalism award and whose cover illustration won a Bronze award for Best Cover from the American Society of Healthcare Publication Editors (ASHPE). ACP introduced ACP Gastroenterology Monthly this year, a monthly e-newsletter summarizing the latest research in gastroenterology and hepatology, including resources from ACP. ACP Journal Club, featured in Annals of Internal Medicine, is a monthly summary of the best new evidence for internal medicine from more than 120 clinical journals. Members can also register for ACP JournalWise, a personalized literature updating service that selects the highest quality, relevant new content for topics each user can choose. In addition to weekly and monthly publications, ACP self-publishes and partners with McGraw-Hill to provide titles of interest to members and other primary care practitioners. 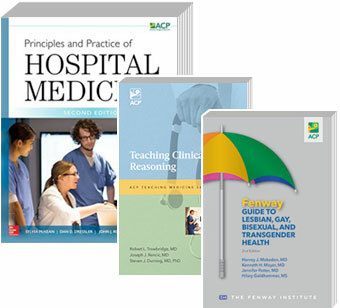 Self-published titles include the Fenway Guide to Lesbian, Gay, Bisexual, and Transgender Health, 2nd edition, and Teaching Clinical Reasoning, the newest book in the Teaching Medicine series. Principles and Practice of Hospital Medicine, 2nd edition, was published through ACP's partnership with McGraw-Hill. 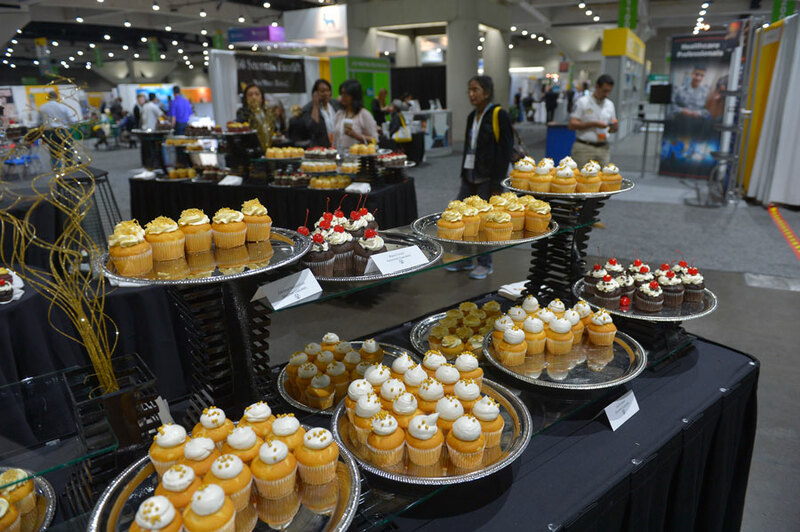 ACP's 2017 Internal Medicine Meeting, held in San Diego, was a well-attended success, with over 9,500 physicians and other attendees taking in the more than 200 sessions covering a broad array of clinical and healthcare policy topics. Anthony S. Fauci, MD, MACP, director of the National Institute of Allergy and Infectious Diseases (NIAID) at the National Institutes of Health, delivered the keynote address, "AIDS to Zika: The Enduring Challenge of Emerging Infectious Diseases." 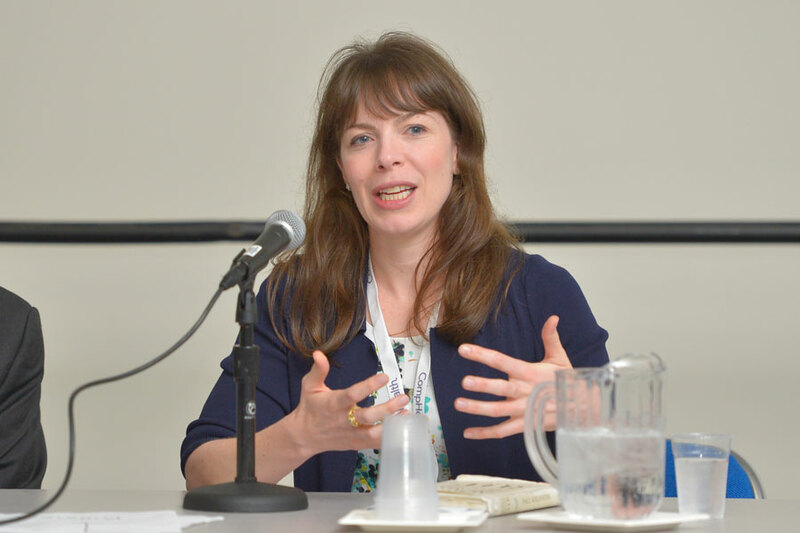 This year's "In the Patient's Voice" session featured Lucy Kalanithi, MD, FACP, the widow of the late Dr. Paul Kalanithi and author of When Breath Becomes Air, for which she wrote the epilogue. 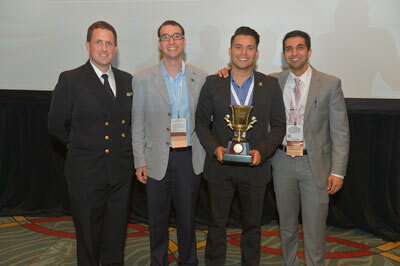 The second annual Dragon's Lair, a "Shark Tank"-like competition, showcased ideas from physicians or medical students that have the potential to transform clinical practice on a national level in categories like High Value Care, Finding Joy in Practice, Improving Medical Education and Meaningful Use of Technology. 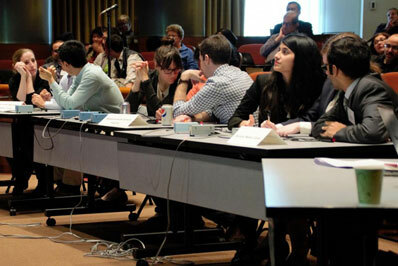 Selected finalists presented their projects to a distinguished panel of judges in front of a live audience. Grand prize winner, Dr. Alan Kubey, ACP Member, Clinical Instructor, Division of Hospital Medicine, Thomas Jefferson University, won for his project, "Reducing Outpatient Medication Costs to Increase High-Value Patient Care." Audience Choice Prize winner, Jayson Marwaha, ACP Medical Student Member, Warren Alpert Medical School, Brown University, Class of 2018, was recognized for his project, "ICD-Nav: Putting Billing to Work for You and Your Patients." 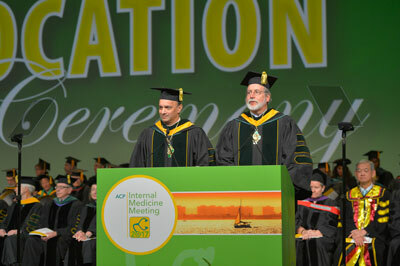 The annual Convocation ceremony saw ACP name 55 new Masters and induct more than 500 members as new Fellows, in addition to recognizing the achievements and contributions of 20 National Awardees and two Annals of Internal Medicine Junior Investigators and granting the Herbert S. Waxman Clinical Skills Center Teaching Scholarship Award to six chief residents. 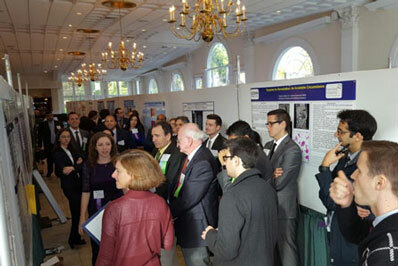 Many ACP Young Achievers—students and residents who participate in ACP's Poster and Abstract competitions and the popular Doctor's Dilemma contest—were also recognized. 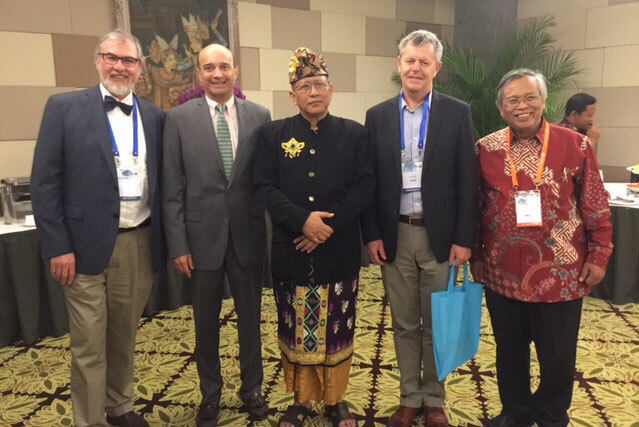 In addition to these events, a well-attended International Reception was held for all international attendees at the meeting. ACP leaders and International Programs staff met with dignitaries from several internal medicine societies and institutions from around the world to discuss important collaboration projects. Make plans now to attend ACP's 2018 Internal Medicine Meeting in New Orleans, LA, April 19-21, 2018. 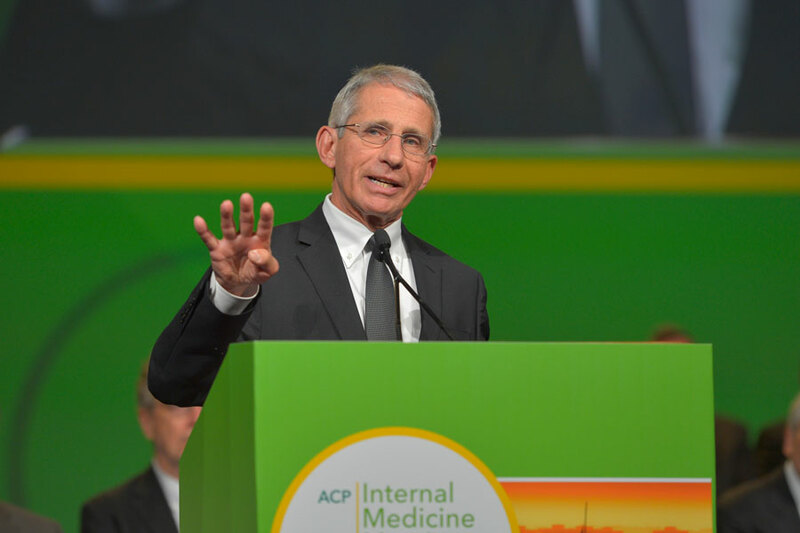 "At a time of great challenges in healthcare and the increasing age and complexity of the patients we care for, ACP is here to weave the fabric…the core values of medicine." ACP's clinical policy papers are developed by the Clinical Guidelines Committee (CGC) and the High Value Care Task Force (HVCTF). These clinical recommendations include: Clinical Practice Guidelines, Clinical Guidance Statements, Best Practice Advice, and High Value Care Advice. ACP continues to advance its High Value Care initiative. ACP's High Value Care (HVC) initiative aims to improve health, avoid harms and eliminate wasteful practices, and it continues to be a priority for the College. The HVC initiative offers resources for clinicians and educators, clinical guidelines, best practice advice, performance measurement, patient resources and case studies. Over the past year, ACP's High Value Care Task Force (HVCTF) released a study published in Annals of Internal Medicine, "Appropriate Use of Therapeutic Interventions to Foster High-Value Care," based on a random survey of 5,000 ACP member physicians and found that prescribing antibiotics, narcotics and opioids is common, but offers little benefit for patients. Also this year, ACP launched a new set of online adult cases for practicing physicians as part of the HVC initiative. The interactive HVC cases are free and can be completed in 30-to-60 minutes online and are approved for CME credit and ABIM MOC medical knowledge points. Additionally, ACP offers a set of existing HVC Pediatric cases that are available for CME credit and ABP MOC points. 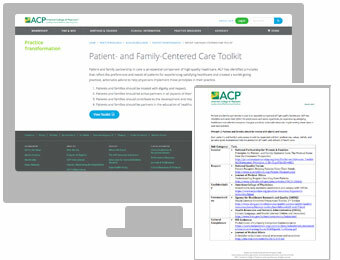 Other resources in High Value Care include High Value Care Curricula for students, residents, and fellows and tools including: the Pediatric to Adult Care Transitions Toolkit; the High Value Care Coordination Toolkit; Managing Conflicts of Interest Cases; Video Learning Modules; resources for medical educators; and patient education resources. ACP's Center for Ethics and Professionalism develops position papers, case studies and the ACP Ethics Manual to help members navigate through complex ethical issues. The following were produced over the last year. "Ethical Implications of the Electronic Health Record: In the Service of the Patient"
"Patient Requests for Specific Care: 'Surely You Can Explain to My Insurer That I Need Boniva'"
"In transformative times in the healthcare landscape, ACP serves to pull all the threads together. ACP provides the quilt to improve the landscape for our profession and our patients." 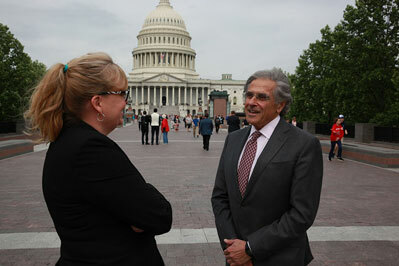 Through its policy papers, meetings on Capitol Hill, newsletters, grass roots advocacy, social media, TV and radio interviews, and collaborations with other organizations, ACP continues to advocate for the future of internal medicine and healthcare reform measures that are socially and fiscally responsible and result in better care for patients. The College's advocacy agenda spans a wide variety of issues such as our successful advocacy for payment of new codes and our commitment to important issues like lowering prescription drug prices. ACP strives to be an organization that works on issues that help our members and their patients, so they aren't negatively impacted by a healthcare system that puts economic interests and government ahead of patients. Over the past year, ACP successfully advanced policy reforms on behalf of internal medicine physicians, related subspecialists, and their patients. Working in collaboration with other allied organizations and coalitions, in both the legislative and regulatory spheres, progress was made on many issues. ACP took on important topics that impact health such as the immigration ban, climate change and firearms. ACP lobbied successfully against insurance mergers that could ultimately hurt ACP members and their patients. Following the 2016 presidential election, ACP issued its plans to engage in constructive, bipartisan advocacy consistent with our mission to enhance the quality and effectiveness of healthcare. We followed our guiding principle: First, Do No Harm. As the new Congress and administration worked to repeal the Affordable Care Act (ACA) and replace it with the American Health Care Act (AHCA), ACP remained committed to sustaining the gains that the ACA achieved in expanding coverage to tens of millions of people and driving down the uninsured rate to historic lows. Through letters to Congress, media appearances, visits to Capitol Hill, and our work with the Group of 6 Coalition, representing over 560,000 physicians and medical students, ACP has been unwavering in our efforts to see that a healthcare bill protects patients and reinforces the "first, do no harm" principle. When the House ultimately voted to pass the AHCA, ACP expressed disappointment in a letter to Senate Leadership. ACP welcomes the opportunity to share our ideas for bipartisan solutions that would make healthcare better, more accessible, and more affordable for patients. For the latest on ACP's efforts to make our voice heard on the future of healthcare in the U.S., visit https://www.acponline.org/advocacy/where-we-stand/affordable-care-act. Highlights of ACP's year of advocacy in the news. For news and opinions about current public policy issues affecting internal medicine, read The ACP Advocate and The ACP Advocate Blog. ACP's success in advocating for reducing burdens on our members is just one part of the College's broader "Patients Before Paperwork" initiative, which is intended to ease or eliminate unnecessary, burdensome administrative tasks, such as insurance paperwork and documentation and billing requirements. In March, we released "Putting Patients First by Reducing Administrative Tasks in Health Care" which presents a framework to analyze administrative tasks and determine whether they need to be challenged, revised or eliminated entirely. The paper documents the adverse impact on patient care and professional satisfaction associated with administrative tasks imposed by insurers, federal regulators and other external entities. ACP has resources and an action plan to help put these policies into practice. Through policy development and education, feedback to regulatory agencies and collaborations with other groups, ACP, as part of our efforts to reduce administrative burdens, seeks to reduce physician burn-out and help restore the joy of practice. Information is available online to help physicians who are experiencing burnout and are interested in strategies for personal wellness. 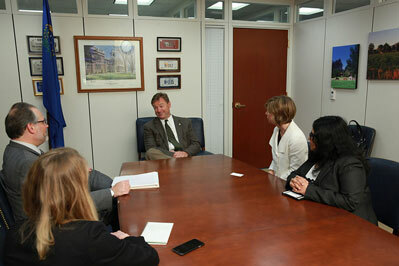 An annual two-day event held on Capitol Hill in Washington, D.C.
ACP's Leadership Day saw 400 internists and medical students from 47 states spend time in Washington to increase the visibility of internal medicine issues and share with lawmakers how policy affects their practices and their patients. This year's event saw a high level of engagement with issues such as protecting affordable coverage, reducing administrative tasks, funding for workforce and research, graduate medical education funding, reducing prescription drug costs and taking action to address the opioid epidemic. "ACP is a medical professional organization that is broad and far reaching, and it…creates a protective quilt for our patients and our profession." The Quality Payment Program (QPP) was created by the Medicare Access and CHIP Reauthorization Act (MACRA) of 2015. The MACRA law not only removed the annual threat of payment cuts due to the flawed Sustainable Growth Rate (SGR) formula, the new QPP will continue the transformation of the Medicare physician payment system from its focus on volume to a focus on value. The new payment systems can seem overwhelming, but physicians can take action now to be prepared. ACP has developed tools for its members that will help them navigate the process and participate in the program they cannot afford to skip. Not participating in the QPP in 2017 will cost eligible physicians a 4% negative adjustment to their Medicare reimbursement for 2019, so it is to their advantage to get involved as soon as possible. Those that are able to successfully participate in some way are protected from any negative adjustment and have opportunities to increase their payments. ACP offers a wealth of resources for members grappling with MACRA and QPP. 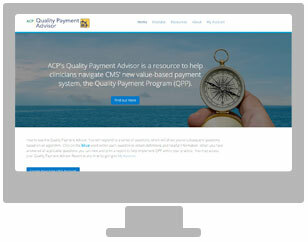 ACP recently launched the Quality Payment Advisor (QPA), a web-based tool that helps members assess practice readiness for the QPP under MACRA. This educational tool will help internists select the best options for their practice and determine what path they will take for QPP under MACRA, based on several options for participation in 2017. By assessing a practice's unique characteristics, quality measurement experience and quality improvement activities, the QPA will help determine whether the practice should travel down the Merit-Based Incentive Payment System (MIPS) or advanced Alternative Payment Model (APM) pathway. An interactive web-based tool that helps practices improve the process and structure of care delivery. ACP's Practice Advisor is designed to meet practices where they are and engage them in efficient and effective quality improvement. The 40+ modules are aligned with the criteria to achieve Patient-Centered Medical Home (PCMH) status and support the work of the Transforming Clinical Practice Initiative. Modules include a quick practice biopsy (survey), specific improvement tools based on the biopsy results, a performance improvement action plan function, and follow-up practice assessments. Spotlighted practices and case studies demonstrate how real practices improved on a given topic. ACP sponsors the Genesis Registry (in collaboration with our contracted vendor, Premier), which is approved by CMS as a Qualified Clinical Data Registry and provides seamless integration with participating electronic health records to collect and report on up to 60 quality measures. It can be used for QPP reporting in 2017 and beyond, including helping practices meet the advancing care information and improvement activities requirements. The Physician & Practice Timeline is ACP's guide to upcoming important dates related to a host of regulatory, payment and delivery system changes and requirements. Members can sign up for text alerts to keep informed of upcoming deadlines. ACP continues its participation in the Transforming Clinical Practice Initiative, a 4-year grant project funded by the Centers for Medicare & Medicaid Services. 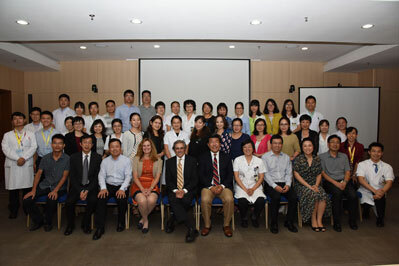 As one of 10 Support and Alignment Networks that are part of the initiative, ACP offers numerous practices across the country the assistance they need to be successful in practice transformation through ACP's tools and resources that support the transformation from volume-based to value-based, patient-centered care. "We urge you to get engaged at the local level to weave together with others to strengthen the fabric of healthcare." Since the first chapter was launched in 1915, ACP chapters have expanded their reach to support the internal medicine community. ACP chapters support the community in the areas of advocacy, education, leadership development and engagement to offer members a local professional home. ACP invites members to get involved and stay connected through their chapters. ACP members can volunteer at the chapter level to help guide grassroots efforts with the direction of an elected Governor who leads each chapter and make up the Board of Governors. The Governor is supported by local staff, council and committees. 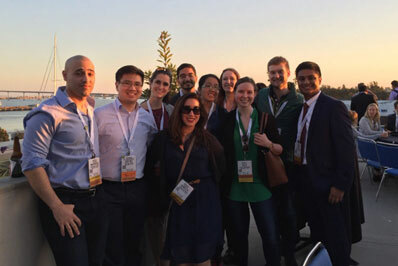 Chapter involvement is an opportunity for internists to give back to their community, take part in educational opportunities, influence state legislation, network and learn. Last year, over 66 chapter meetings addressing clinical and practice environment topics were held, hosting more than 12,000 attendees. 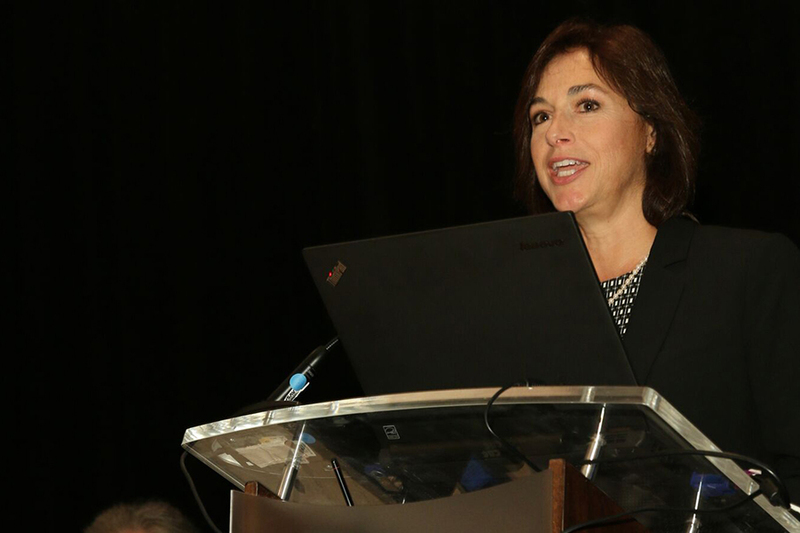 ACP has 86 chapters and regions spread across the U.S. and around the world, each uniquely tailored to the needs and interests of its local members. In recognition of their efforts to increase the value of ACP membership, 79 chapters received a Chapter Excellence Award last year. 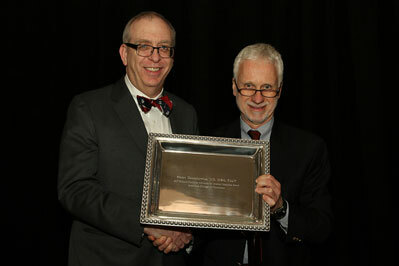 The award recognizes chapters that achieved specific benchmarks, including communicating frequently with membership, offering education opportunities such as local abstract competitions for Residents, recruiting and advancing members to Fellowship, hosting networking opportunities for Early Career Physicians and celebrating membership through local awards. A total of 200 local awards were bestowed upon chapter members ranging from Internist of the Year to the Laureate Award. By volunteering with your local Chapter, you can help develop innovative solutions that will serve ACP well into the future. Through its interactions with Internal Medicine societies and institutions around the world, its Ambassador Program and exhibits, ACP's reach spans the globe. 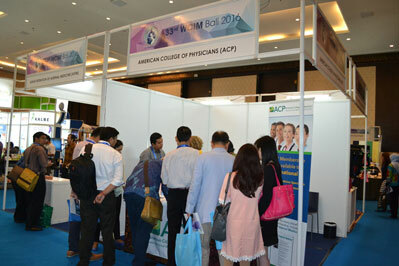 ACP has over 14,000 international members in more than 145 countries and 19 international chapters. ACP and Peking Union Medical College (PUMCH) continued their long-standing relationship with a faculty development program in Beijing, China, that was also attended by a consortium of 7 elite teaching hospitals in the country. 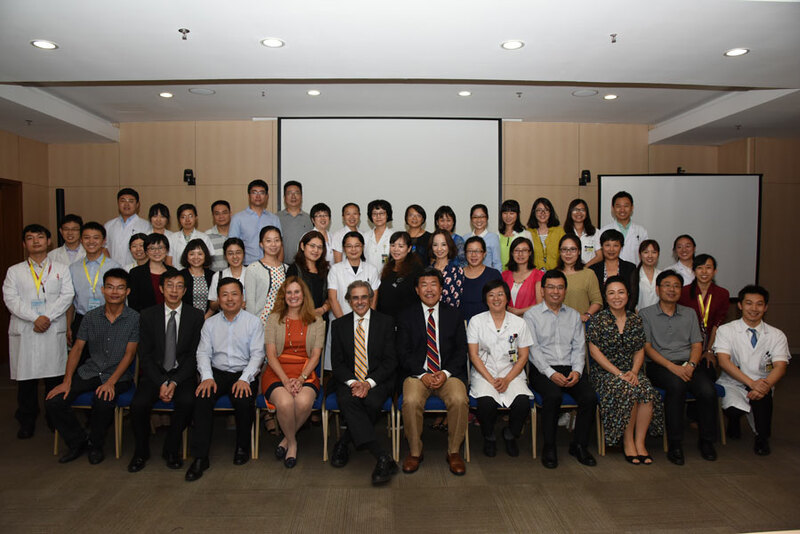 In September, ACP faculty spent a week in Beijing. 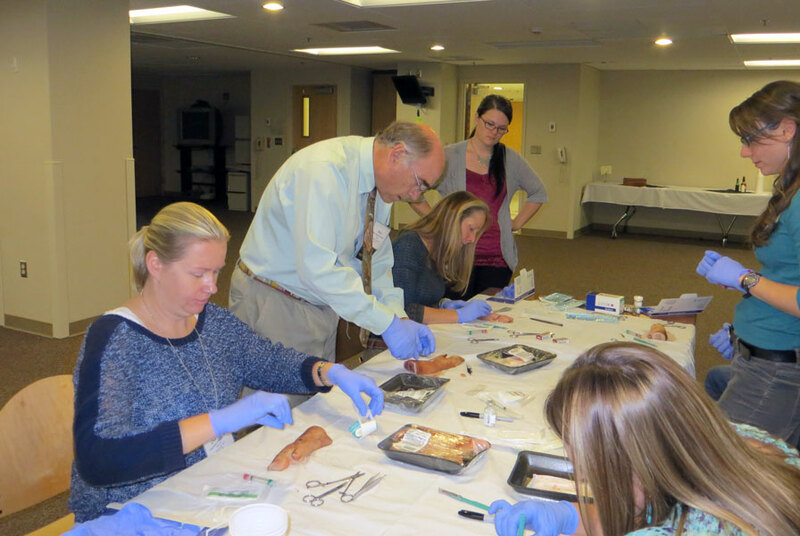 They participated in a 2-day faculty development pre-course, spoke on a panel discussion during the main medical educational, and they partook in inpatient bedside teaching rounds with PUMCH students, residents and attending staff. 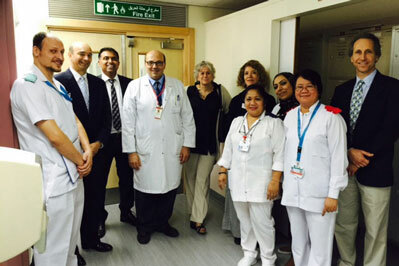 Last year, ACP partnered for the first time with Hamad Medical Corporation (HMC), in Doha, Qatar, which hosted ACP faculty for the 3rd Qatar Internal Medicine Conference through a series of teaching sessions and workshops. The visit also included a several meetings with HMC leadership and visits to HMC facilities and hospitals. As a result of this collaboration, the number of ACP resident/fellow members was increased and future projects were discussed. At the Internal Medicine Meeting 2017, ACP held the 11th Annual International Forum. 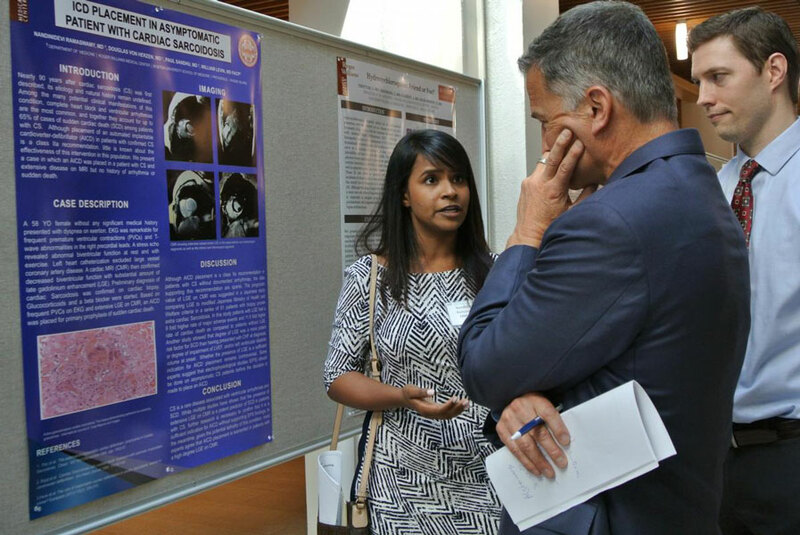 The event offered ACP leaders and leaders of internal medicine from around the world the chance to discuss a topic of interest to internists. The topic for the forum this year was "Reducing Overuse and Misuse: High Value Care and Choosing Wisely." 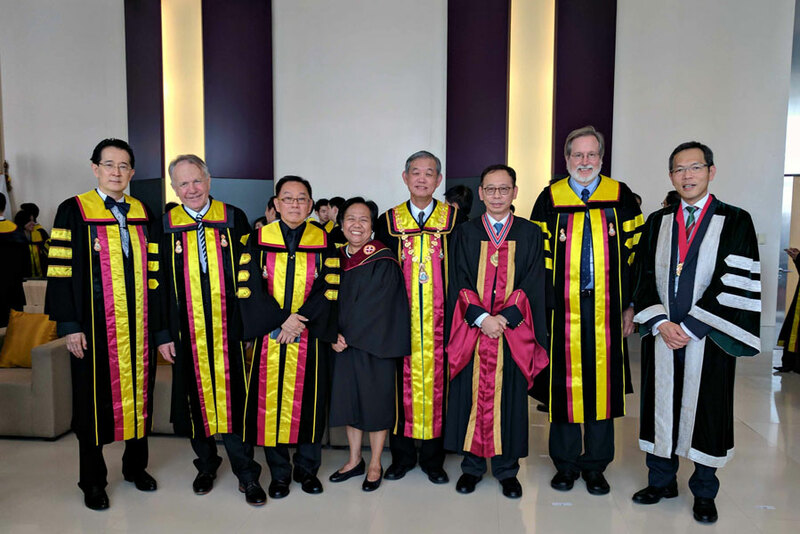 ACP's IFEP affords awardees from countries outside the U.S. and Canada the opportunity to gain expertise in a focused area relating to the prevention, diagnosis and/or management of a clinical problem affecting internal medicine and the subspecialties. To read about this year's awardees and the IFEP, visit ACPOnline. The Center for Patient Partnership in Healthcare (CPPH) continues its charge to help patients and families understand health conditions, build communication between patients and their healthcare providers and promote patient partnership in health system improvement. 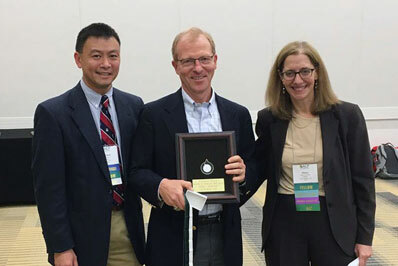 This year, ACP's Center for Patient Partnership in Healthcare was the recipient of the Institute for Healthcare Advancement (IHA) Health Literacy Award. The CPPH won the award in the Published Materials category for their series of self-management guidebooks. The Health Literacy Awards aim to encourage, recognize and reward initiatives that make an impact on the practice of educating or empowering organizations to deliver clear messages that advance health literacy. 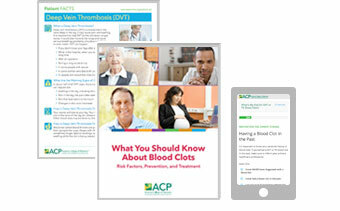 Guidebook topics include: Diabetes, Rheumatoid Arthritis, Heart Health, Weight Loss, Atrial Fibrillation, and Blood Clots. 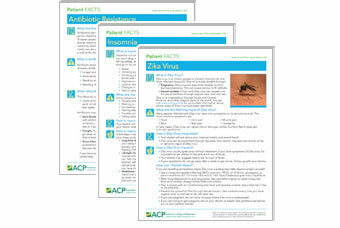 All are available in multiple languages and can be found, in addition to other patient education resources, at acponline.org/patients. The Patient Education Resource Center resource page was updated for better ease of use. 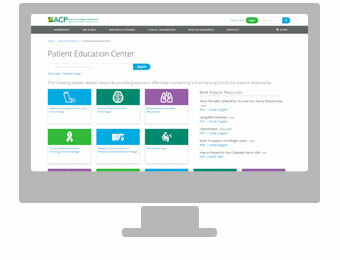 The hub for patient information features bold, concise graphics for a more efficient user experience and a cleaner interface giving ACP members direct access to the patient information they need. More than 50 Patient FACTS, two-page health information sheets created to give patients the most important information they need to know about specific health conditions, are available online. New Patient FACTS this year include Antibiotic Resistance, Insomnia and Zika. The information sheets on Antibiotic Resistance and Zika are also available in Spanish. Patients and families should contribute to the development and improvement of healthcare systems. Patients and families should be partners in the education of healthcare professionals. The toolkit features resources regarding confidentiality, communication, patient engagement, quality improvement and more. MyACP gives ACP members the ability to get to the content they want and use most. After logging in, members can personalize their online experience by pinning topics to their Launchpad for quick, easy and efficient site navigation. 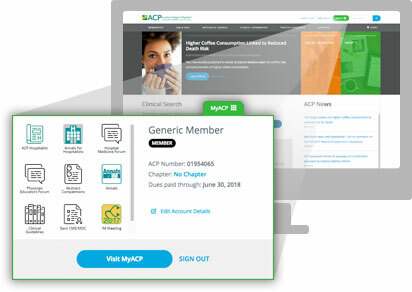 The new MyACP experience features crisp iconography that provides direct access to the products and services members make use of most. 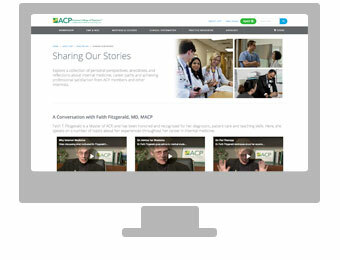 ACP's website offers a new page dedicated to ACP members and their internal medicine story. Whether it's an in-depth profile from the "My Kind of Medicine" series or a conversation with the internist who pioneered pet therapy, members will find a variety of personal stories and experience from their colleagues. The ACP Membership Engagement Program is a comprehensive program that matches interested and qualified members with opportunities to contribute to ACP activities at the national and local levels. The activities range from peer review of MKSAP to facilitating the ACP Member Forums and serving on academic review boards. The program provides members with meaningful volunteer opportunities to use their current skills and knowledge and to gain new ones. Members interested in the program should membership@acponline.org for more information. 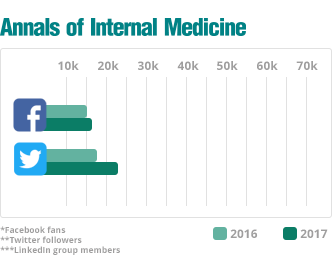 Find ACP and ACP's Journal, Annals of Internal Medicine, on social media for constant contact and updates. ACP and the Annals of Internal Medicine were featured and cited consistently in the media. Affordable Care Act/American Healthcare Act Guidelines to Limit Added Sugar Intake: Junk Science or Junk Food? ACP members are eligible for additional personal benefits as part of their membership. The benefits vary based on membership type. To see which benefits are included in your membership, visit ACPOnline's benefits page. Members can apply for competitively-priced group insurance plans, offered through Mercer Consumer, a service of Mercer Health & Benefits Administration LLC. Members can get a $100 cash rewards bonus after qualifying purchases. Members can open ACP-eligible personal checking account. Members in the U.S. and Canada can take advantage of benefits such as passport renewals or other travel document services. ACP's Academic Advisory Board is made up of 15 early- to mid-career academic physician delegates. 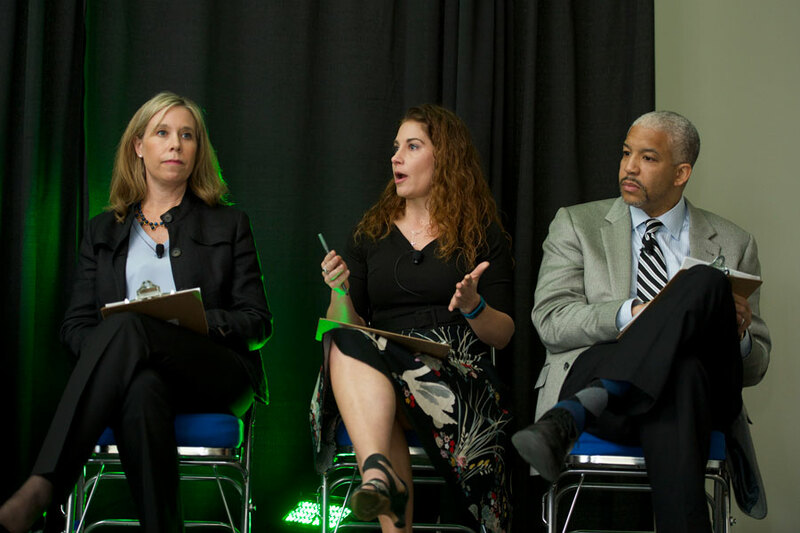 These physicians share the value of ACP's resources and membership with their academic colleagues and trainees, while also helping ACP better meet the needs of academic physicians by offering the College their insight and perspectives. Interested physicians can contact membership@acponline.org for more information. 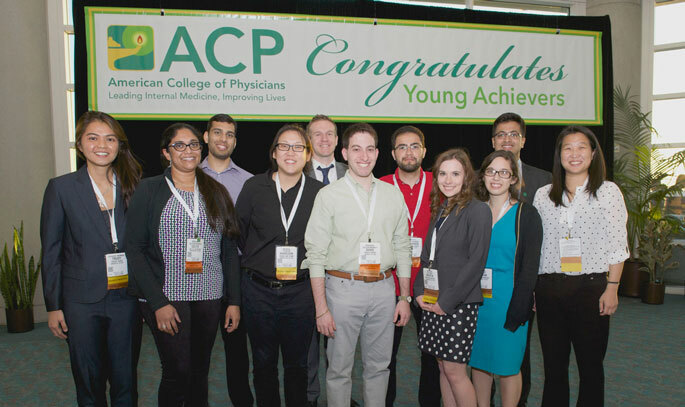 The ACP Young Achievers Program celebrates student and early career physician members that demonstrate academic excellence. Held each year during the annual Internal Medicine Meeting, the program recognizes accomplishments that include being honored with national awards or selected for participation in one of the annual competitions, like abstracts, Doctor's Dilemma and the Dragon's Lair competition. Members interested in the program should contact membership@acponline.org for more information. Visit ACPOnline.org to see all that ACP has to offer.